Hang on! Before you stockpile gasoline in your garage, be sure to lend your attention not only to matters of safety, but also to the letter of the law in your neck of the woods. What’s the best way of storing gasoline so that it’s not only safe, but ready for use the next time you need it? Here are a few pointers…. 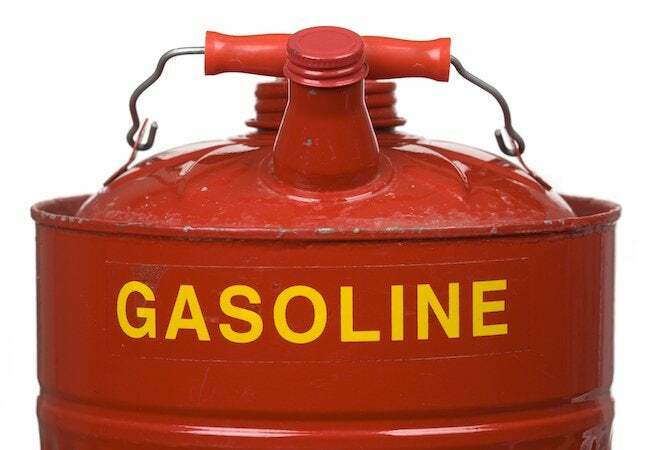 First, only store gasoline in approved containers and be aware that in most municipalities, fire codes specify how much gas it’s legal to have on hand at any given time. In many places, residents can have up to 25 gallons, divided among up to five leak-proof containers. Check with local authorities to make sure you’re not surpassing your limits. Once you’ve filled the containers, store them in a space that’s separate from your home or attached garage. A garden shed is ideal. Make sure the container is not exposed to direct sunlight. Note that unless you add a stabilizer to your gas to extend its shelf life, it should be used within 12 months. Using old gas can seriously damage power equipment. If you discover you have gas that’s more than a year old, consult with local authorities to find out the location of the nearest disposal facility.